Multi-dimensional and theatrical ensemble, Celtic Thunder has been bringing joy to millions of viewers and listeners with their performances. Watching them perform live stirs up emotion, feelings and brings memories back to life. Celtic Thunder has been performing since 2007 and recorded many albums that have sold in million copies. Their latest album LEGACY, Vol.1, has been revealed and is available in stores. 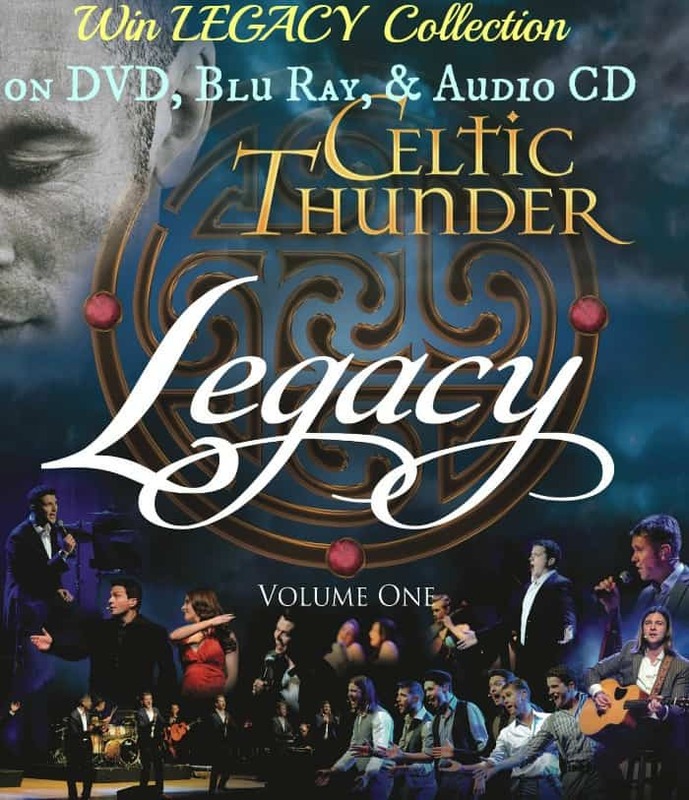 Live performance production has been documented for DVD, Blu-ray, CD and vinyl release.Song selections include “Heartland,” the group’s big opening number, along with crowd-pleasing favorites like “Raggle Taggle Gypsy,” “Galway Girl,” and “A Place in the Choir” alongside rousing anthems “Caledonia” and “Ireland’s Call.” Would you like to take home the ENTIRE collection of DVD, Blu Ray, Audio CD and vinyl records? Be sure to return tomorrow to complete the daily entries! Just started listing to Celtic music last year because of this group. I like all types wirh my two favorite genres being Country and Hip Hop, whst a mix! I like to listen to a variety of music. Everything from classical to hard rock.